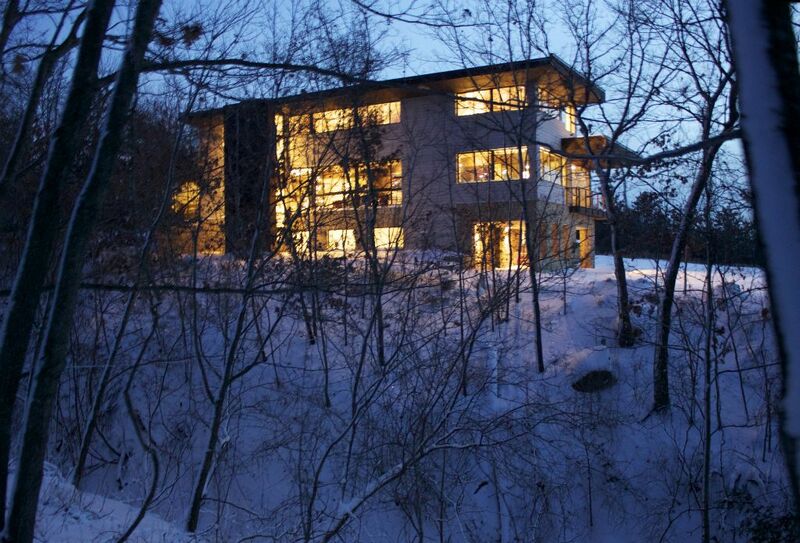 Built into a rugged and hilly 35-acre site, the Hurry Back Home blends seamlessly into its surroundings. 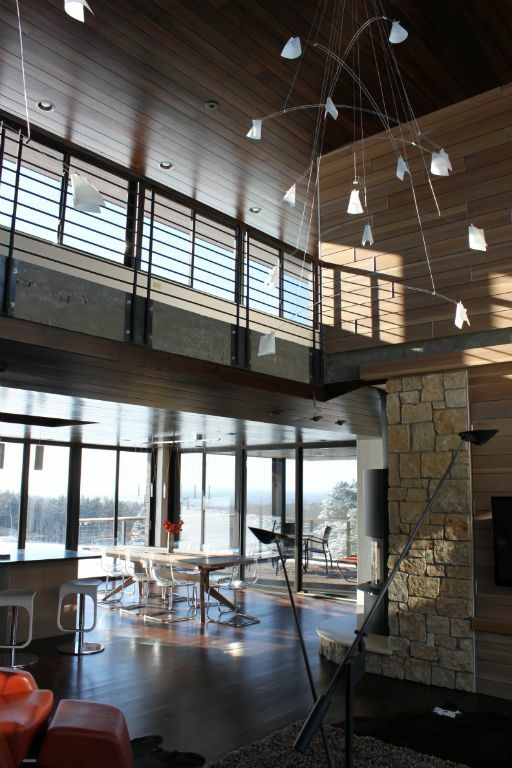 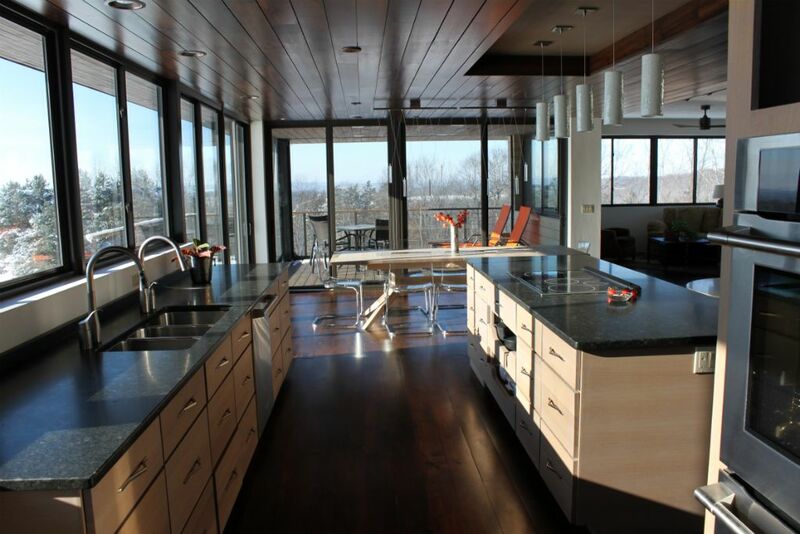 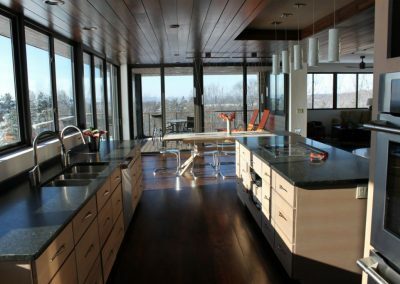 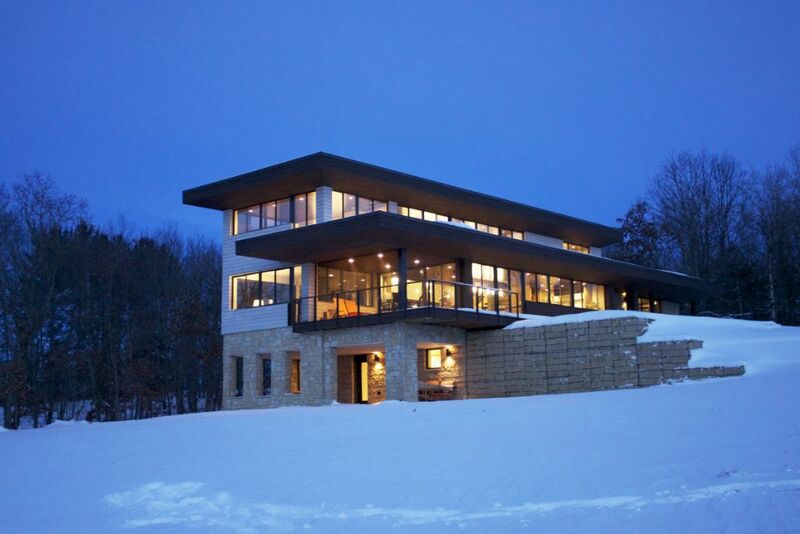 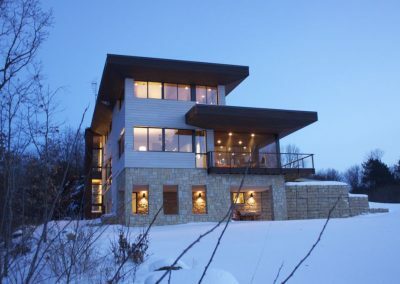 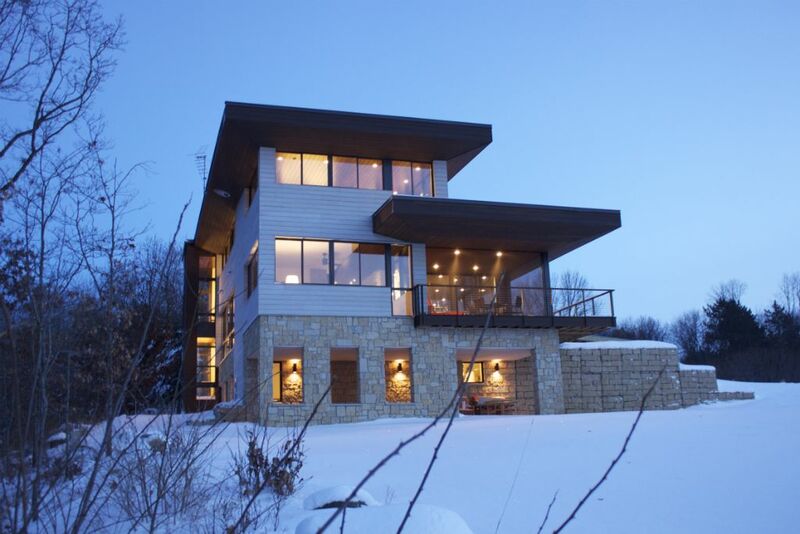 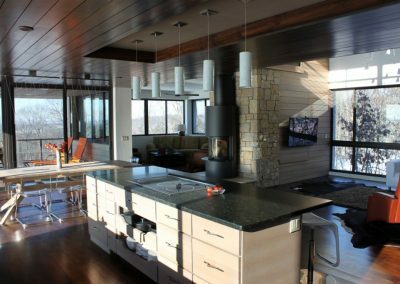 The home’s Prairie-style architecture features strong horizontal lines broken by extensive floor-to-ceiling windows to take advantage of the remarkable view over the historic Wisconsin River Valley and six neighboring towns. 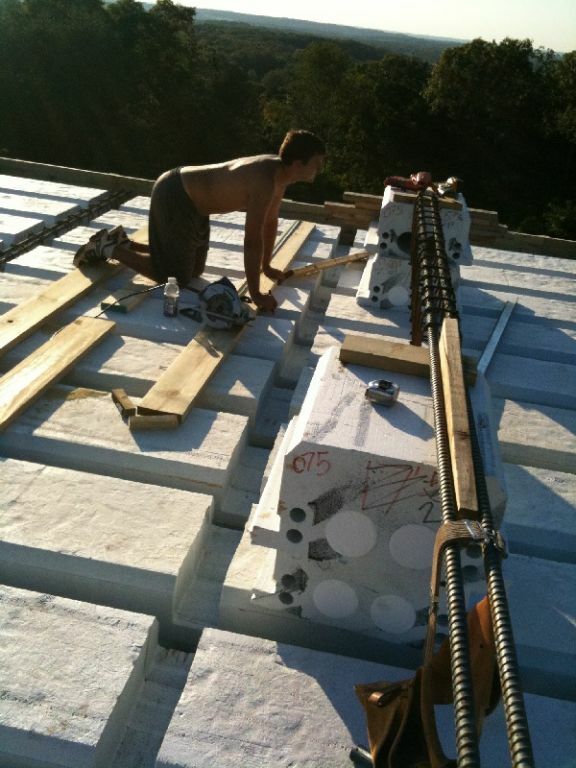 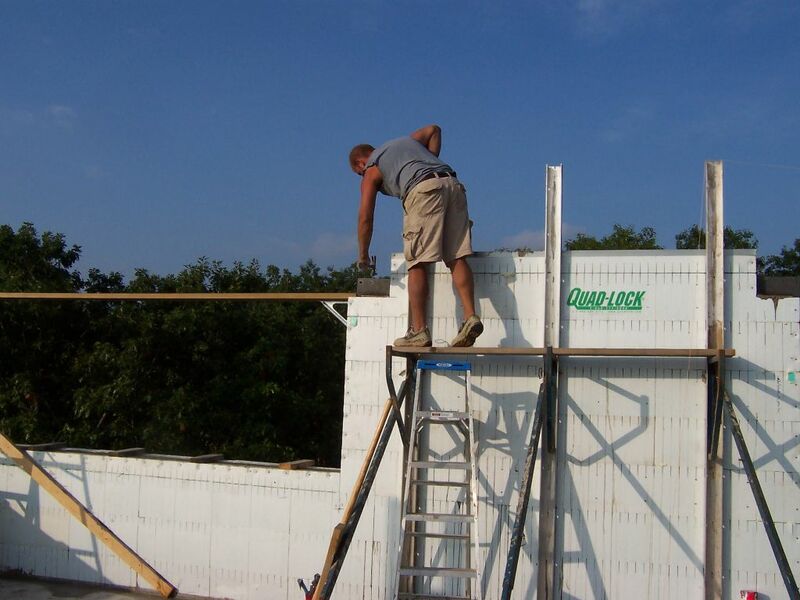 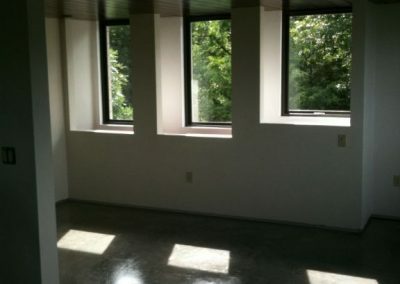 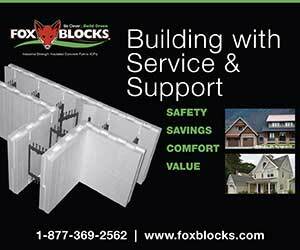 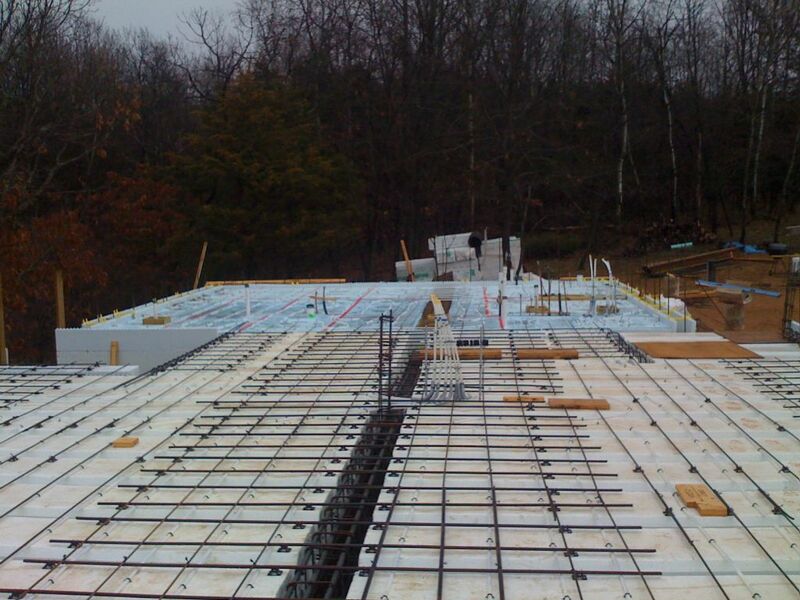 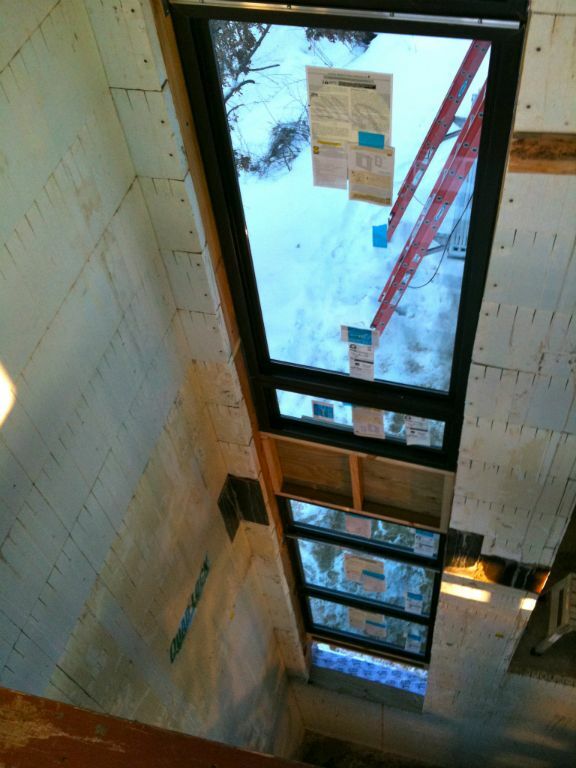 A major part of the project’s durability and efficiency are ICFs. 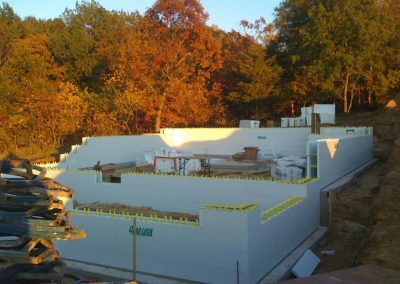 All of the project’s 5,000 square feet of walls are built with Quad-Lock ICFs, which stretch to 32 feet above the footing, often with no intervening floors. 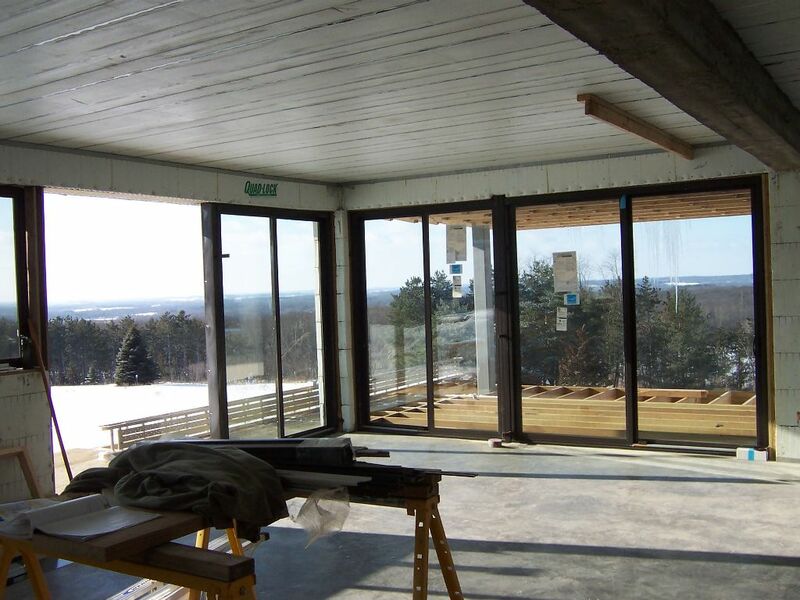 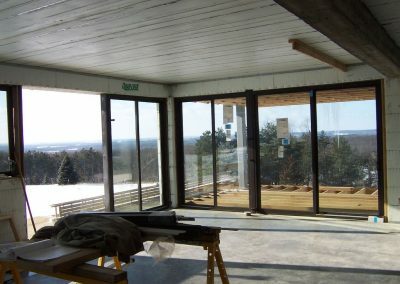 The floors, deck, and roof were constructed of Quad-Deck to complete an energy efficient, extremely long-lasting building shell. Dumbleton notes that the largest of these “seemingly effortless double-cantilevered roof forms” was cast on site and weighs an astonishing 20 tons. 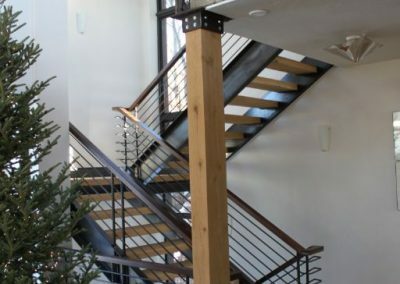 The upper 800 sq. ft. Quad-Deck roof will be the site of a vegetated green roof in the near future. 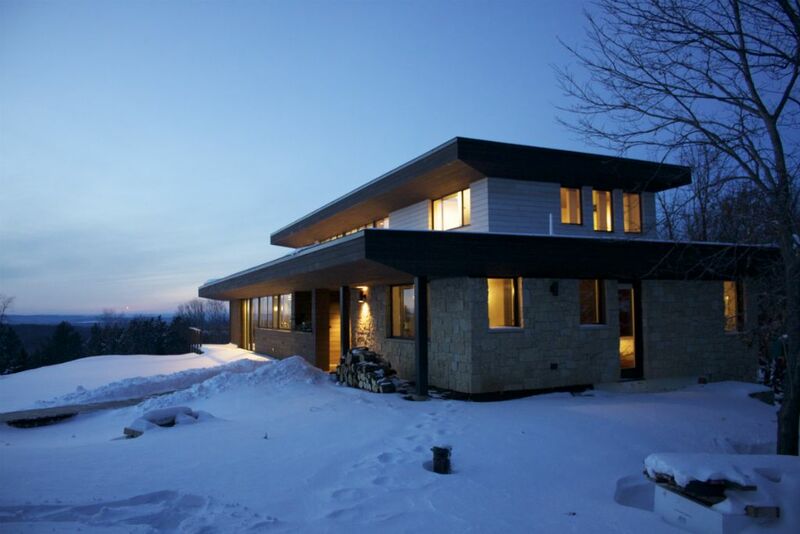 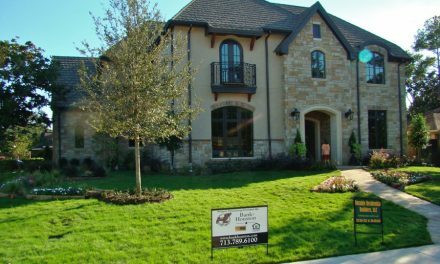 Most of the labor on this home was provided by the owner-builders and their immediate family. 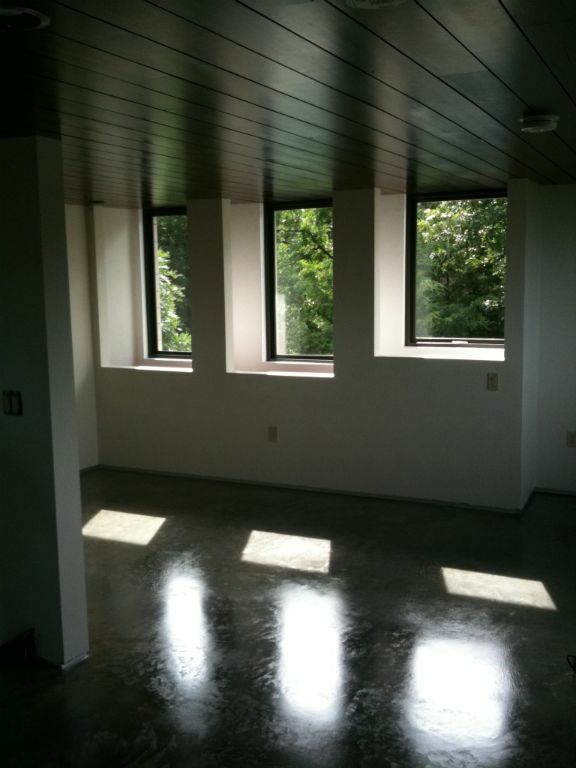 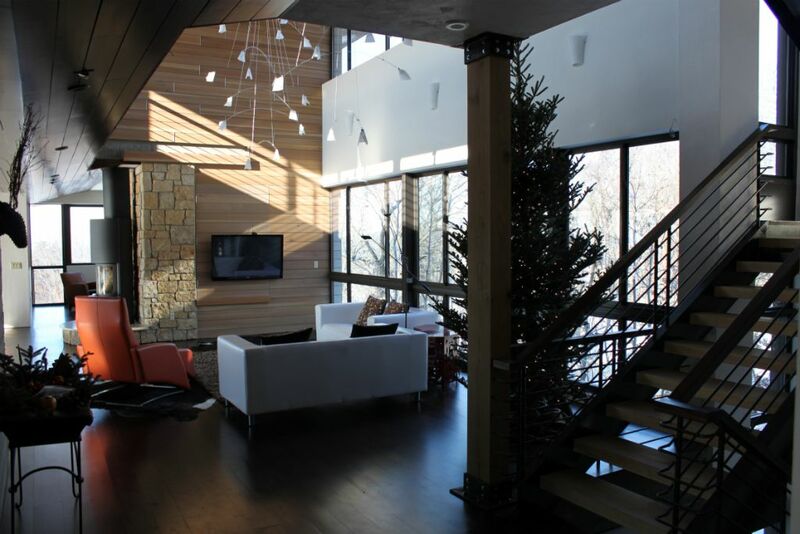 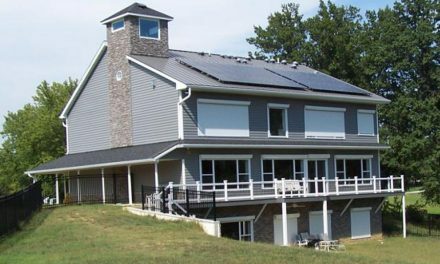 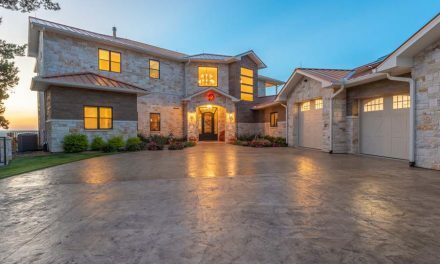 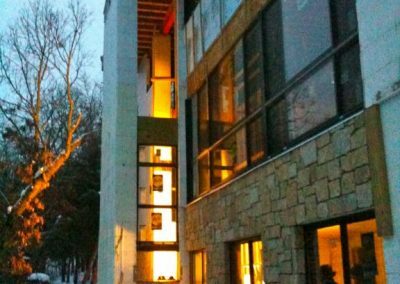 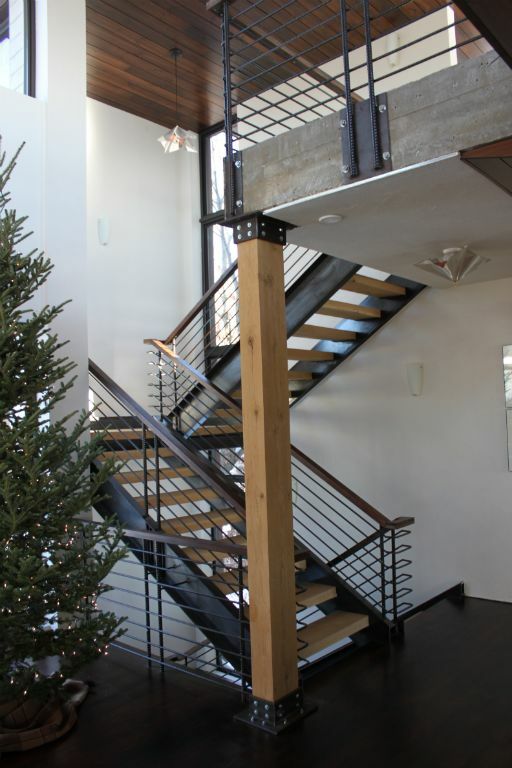 In keeping with the owners request to minimize operational costs, Dumbleton installed radiant in-floor hydronic heating, coupled to a closed geothermal heat pump to maximize efficiency. 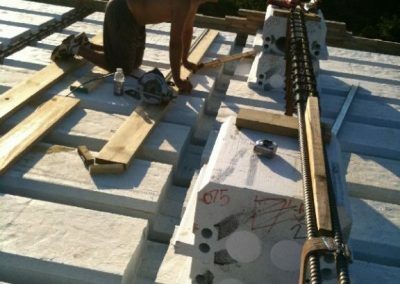 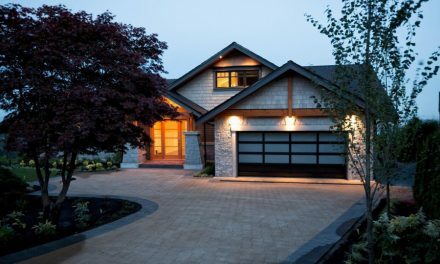 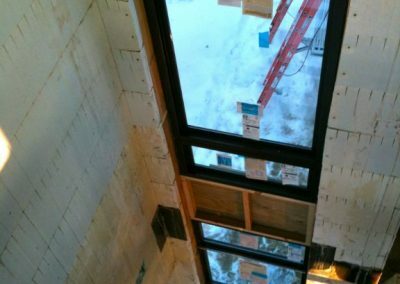 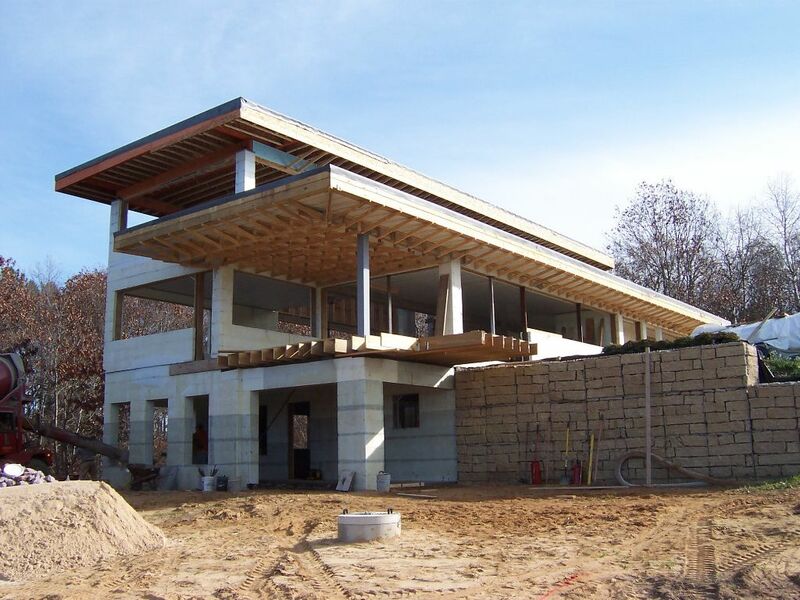 The mass of all the concrete in the walls and roof, combined with rigid EPS foam and the ultra-efficient heating/cooling system makes utility costs just 30% of what they would be if the home was built traditionally. 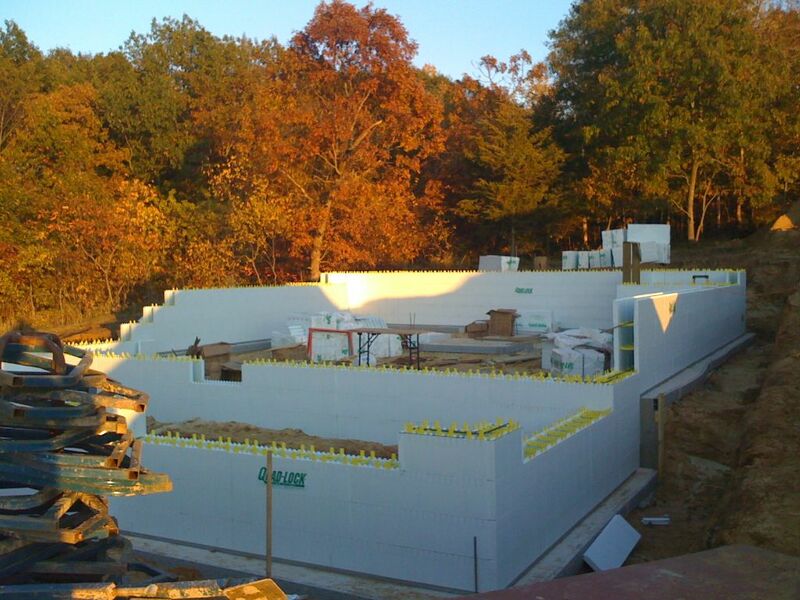 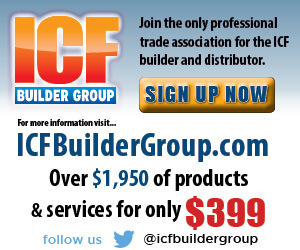 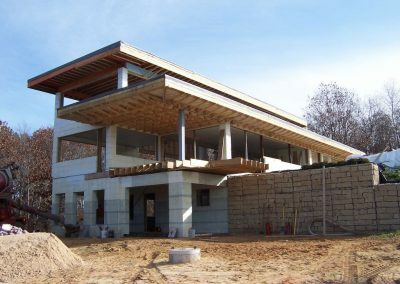 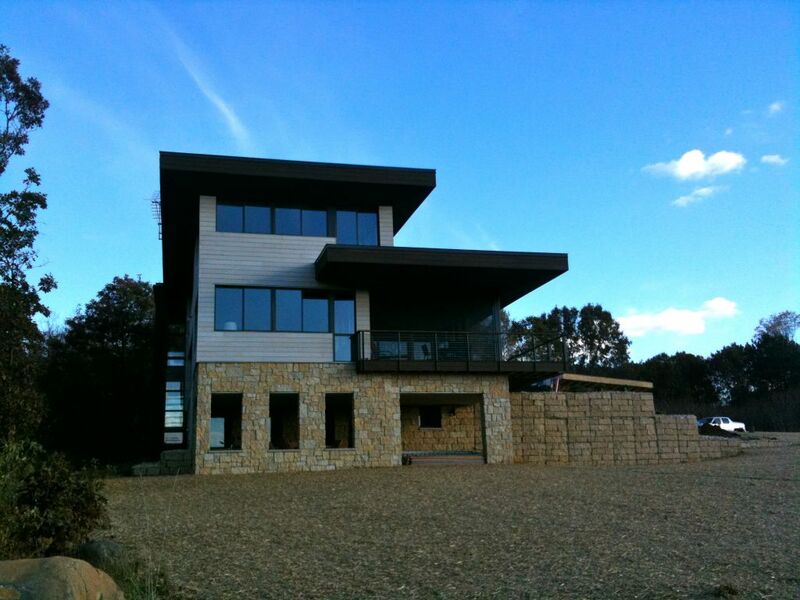 ICF construction provided advantages during construction as well. 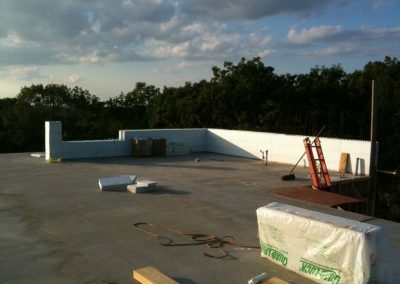 First, the site was difficult to access, with 12% grades in places. 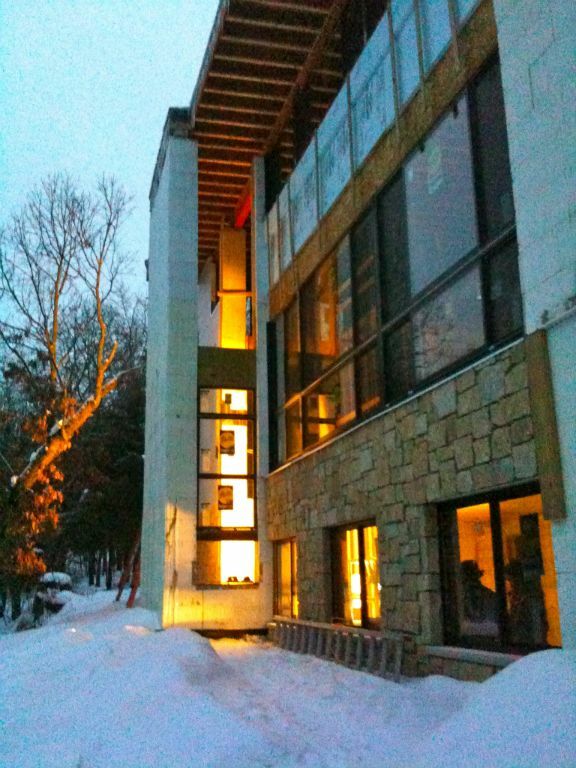 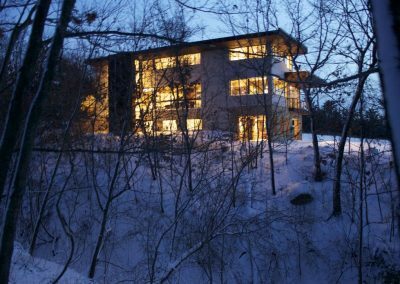 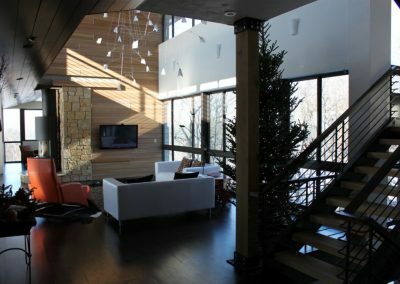 Second, the home’s footprint backed a 60-foot deep ravine that further complicated access. Finally, the construction schedule—which began in October 2009—quickly ran into the reality of a Wisconsin winter with record-breaking snowfall. 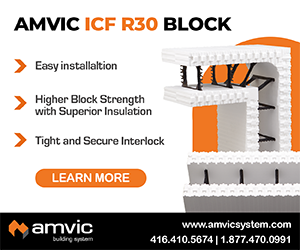 Fortunately, ICFs were easy to transport to the jobsite, easy to maneuver and stack, and were completely unaffected by the months-long delay over the winter. 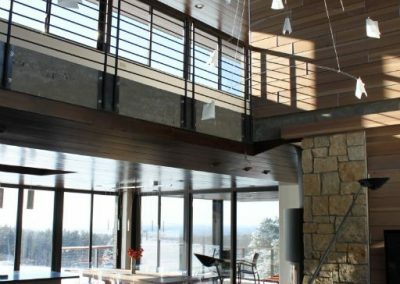 An open floor plan and high quality finishes—including native stone and site-harvested timber—bring an air of modernity to the interior of the decidedly traditional architecture.